Pine trees are one of the hardiest types of trees. They have a naturally beautiful shape that rarely needs pruning. 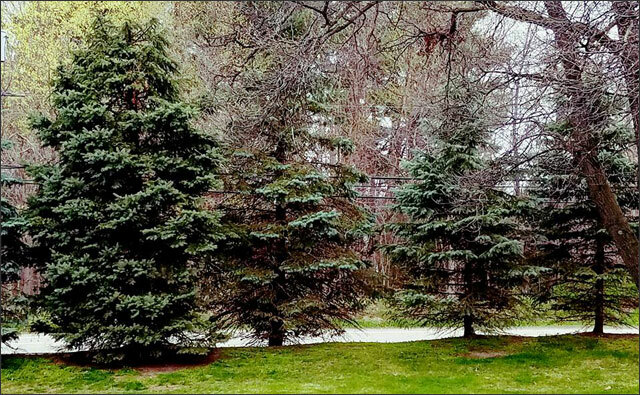 There are some considerations if you have a few pine trees on your land, or want to do more to influence the shape, size, and health of your trees. Pine trees are nature’s answer to green even in some of the earth’s coldest climates. Do you know there is a ring of evergreen trees around the whole earth, like a crown? They grow on every continent at high altitudes and cool climates. 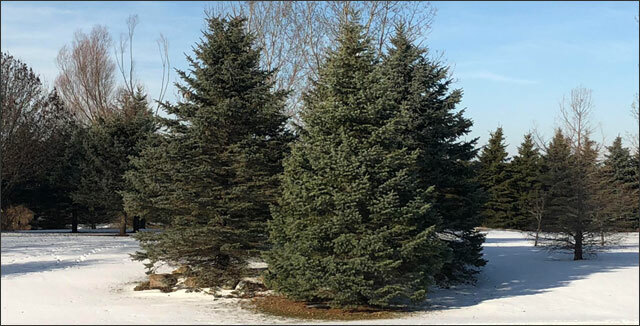 If you live in a cool climate, you appreciate your evergreen trees even more in the winter. If you have a large yard or acreage where it doesn’t matter how big or tall your pine trees get, you may never need to prune. Pine trees naturally grow in a pleasing shape. However, there are some reasons to prune a pine tree. Pine trees can sustain damage after storms just like any other tree. You will want to safely remove any broken limbs that occur as soon as you can after the damage. 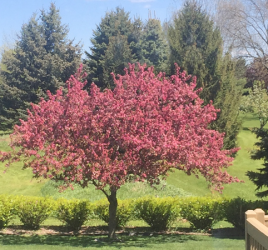 It is best if this can be avoided in the late summer or early fall to give your tree a chance to scab over before cold weather hits. However, sometimes it can’t be avoided. Sadly, people can also treat trees like it won’t hurt them to tear off limbs and sticks. It is best to remove a wounded branch at the collar. The collar is the place where a branch joins the main trunk of the tree. It is slightly wider than the rest of the branch. This is preferable to merely trimming the length of branches, as that will result in a stunted-looking tree over time. There is another method to control the growth of the branches and make it more compact. First, the right way to cut a branch off at the collar is to first make a cut up from the bottom of the branch about a foot away from the trunk, then move out another inch or so and cut all the way through from top to bottom. After the rest of the limb has been removed, cut the stub flush with the collar. This method prevents you from peeling bark from the trunk along with the wounded limb. Pine trees rarely have branches that rub each other, but when they do, one of the branches should be removed. Constant rubbing makes way for pests and diseases when the protective layer of bark is rubbed away. You can make a pine look more dense and lush over time as it grows by pinching back the new growth tips – or candles – in the spring. Just break them off in the middle by hand instead of with shears. Shears can cut needles making them turn brown. The one thing we don’t expect is to see brown, dry needles on our pine trees at any time of year. If you are seeing brown needles, you need to diagnose the problem. What season is it? What part of the tree is affected? All pine trees have a shedding period. If it is fall, this is normal. All pines have an annual drop. If, however, it is not the fall and you have a dead lower half, it is not normal and something probably needs to be done for the tree. Need for more sun – If there are lower branches that aren’t getting enough sunlight, they might react this way. You may want to trim nearby shade trees or anything surrounding the bottom of the pine so the lower branches can have access to sunlight. 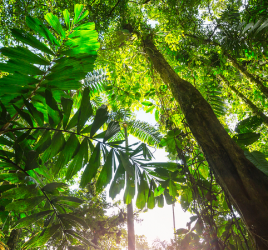 Lack of water – The tree could be prioritizing the life of the tree over the life of the lower branches because it isn’t getting enough water. If you suspect this is the case, consider installing a deep root watering system. Salt de-icer – Salt as a de-icer on your driveway can kill your trees. The bottom branches can be harmed by your salty driveway, where they are exposed to it all winter. Stop using salt on your driveway if you suspect this is the cause. Disease – Lower branches dying might also be a fungal disease. Sphaeropsis tip blight starts at the tips, but eventually, the lower branches die. Clip out diseased sections when this happens and spray a fungicide in spring. Keep spraying until the new needles are fully grown. It is never easy to decide to cut down a tree. After all, they have been around for so many years by the time you have to consider cutting one down. But they do, sometimes, need to be felled for the safety of people and buildings. If you have a tree that is damaged over 50% of its body, it should probably be cut down. It would continue to survive, but it won’t ever come back to health. If you see vertical cracks, seams, dead branch stubs, large old wounds or anything like that, it probably means the tree is suffering internally as well. Severe enough damage to the trunk – over 25% of the circumference of the trunk – probably means the tree should be cut down. If it’s less than that, the tree will eventually heal itself. Hollow trees can actually live for a long time. The living tissue of the tree is actually just below the bark, not in the middle. However, a hollow trunk can make a tree weak and dangerous in storms. If ⅓ of the interior is hollow or rotten, the tree should come down. Trees with their tops broken, who have large damaged limbs, or have dead branches all on one side, causing them to be lopsided, are all a hazard to people. If over 25% of the branches are damaged, it needs to be removed. 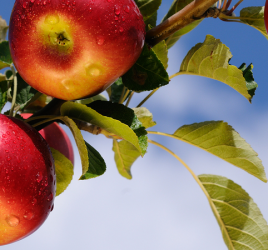 Does your tree have sprouts coming from the base or small branches coming from the trunk? Trees do not normally grow this way. It is a sign of severe stress. Trees that do this have probably experienced injury – usually related to home construction – or have been over-exposed to sunlight due to forest thinning. Sometimes soil compaction can cause this. A professional arborist needs to evaluate this tree to see if it can be brought back to health. Otherwise, it is a danger and needs to come down. If over 50% of a tree’s root system has been damaged due to construction, it needs to come down. Is there trunk rot or large fungus near the base? Sometimes mushrooms and trees go hand in hand. However, if a fungus is growing on the tree itself, it could be an indication of internal rot. Sudden leaning means the tree has had a breakage or weakening of its roots. A tree that has grown leaning – more than 15% off from vertical – has a higher chance of falling and should probably be taken down. Electricity can arc up to 10 feet to wet foliage and cause damage to buildings or power failure. What is the tree’s environment? If it’s trying to grow in a rocky place or on a ledge or near a body of water it will have a shallow root system. How much space is there for the tree to grow? You shouldn’t plant a tree so that it will hang over your house, and only plant a tree that will mature at a height that works for your property. Large trees should be at least 20 feet from your house. Remember the root system will grow as deep and wide as the trunk is tall and the branches are wide. In addition, roots eventually break through rock and any hard obstacle they encounter under the ground. Pine trees are some of nature’s most beautiful giants. Care for yours well and it will bring your winter days cheer for years to come. 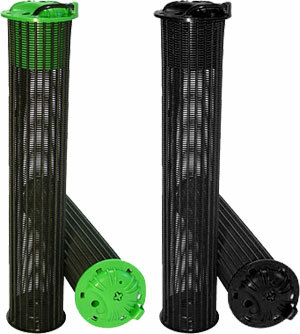 Rootwell Pro-318s are porous cylinders that are installed around a tree. This deep root watering system allows water, air, and nutrients to penetrate deep into the root zone. They have been scientifically proven to help trees thrive.